Windows Phone 8 getting updated this summer with some new features including the much requested feature FM Radio to the WP8 Platform. FM Radio was present in Windows Phone 7 but somehow Microsoft skipped this in Windows Phone 8. The update also brings Data Sense feature of WP8 to more carriers. “The update also makes it easier to select, download, and pin tunes in Xbox Music and improves the accuracy of song info and other metadata.” The update also brings several other small improvements according to Microsoft. 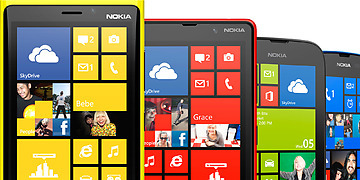 Nokia Lumia 925 released today includes this latest update and brings FM radio and other features when it launches. Nokia is also issuing an update called “Amber Update” that will bring the Smart Camera App, FM Radio to all the existing Lumia devices. FM Radio feature is there hidden in all the Lumias sold except the Lumia 620 and the update will enable this feature. The update also includes a Double Tap to wake feature that will wake the phone on double tap as the name suggests, this will be available for Lumia 920 and Lumia 820.